It can be an overwhelming and often lonely time when we are caring for a loved one in crisis. Whether it’s a child, parent, partner or friend who is ill, finding ourselves in the role of Caregiver is not something we plan for. Often, in the midst of this caring we do not immediately see ourselves as Caregivers…but that is exactly what we are! 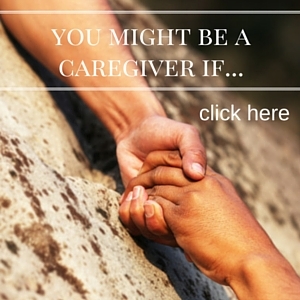 My guess is that you are here on this page because you are beginning to understand that the role of Caregiver is greater than your role as parent, partner, child or friend. As a Caregiver, you’ve likely had to take on additional responsibilities, make health decisions with little notice, coordinate with providers and billing administrators, and tackle mountains of paperwork all while trying to balance the needs of your own family, job and other commitments. Often, when we are in the midst of a crisis, it is hard to think about what we need to support ourselves while we are working so hard to support our loved one. Let’s face it, caregiving is a 24/7 role that often doesn’t allow for an easy way to find the time to take care of ourselves. And truthfully many of us find it hard to make the time for ourselves because we may feel deep guilt and obligation, believing that because our loved one is ill, we should not spend precious moments on ourselves when they need us so much and so often. When I could not find the support I was looking for I decided to create a space for others to find support. The author Melody Beattie shares in her book Journey to the Heart, “Live your life from your heart. Share from your heart. 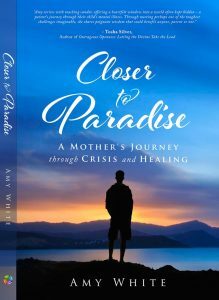 And your story will touch and heal people’s lives” As a Caregiver Champion, I share the stories of personal experience, trial and error, and coming out the other side of crisis in a way that is informative but also inspiring and healing. You can read all about my own Caregivers journey here on my Blog! I understand what you are going through. I’ve been there myself. Whether you are looking for resources, tools or just peer support, I’m here for you!